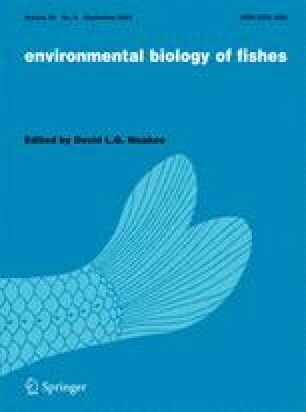 Feeding behaviour of mouthbrooding females ofCyphotilapia frontosa was observed in their natural habitat, and specimens of mouthbrooding females and the young in their mouths were examined in the laboratory. Mouthbrooding females exhibited feeding actions and their guts contained about one quarter as much food as those of nonbrooding adults. A substantial amount of food was found in young 12.5 mm TL who retained a large quantity of yolk, and gut fullness of young increased as they grew. Weight changes of the young suggested that the buccal feeding augmented their growth.